new on amazon and kindle. cowboy howie. the adventure of the central park coyote and thanksgiving day parade. COWBOY HOWIE. Review by Jake Cathers in “Newport Life”magazine Jan 2019. IMAGINATION, ACCEPTANCE AT HEART OF CHILDREN'S BOOK. 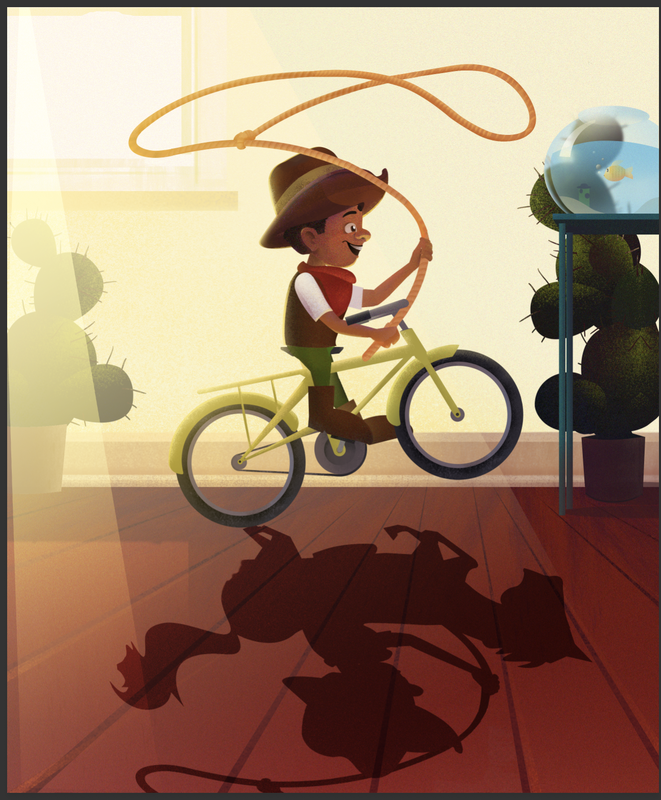 Newport author Mifflin Lowe introduces young Howie Kaplinsky from New York City, a child who has always dreamed of being a cowboy. It’s an inspiring story of creativity as Howie ventures through the city using his imagination to turn what he sees into a make-believe western landscape. The story shows us how to look at our surroundings through a child’s eyes, embrace the differences and accept them. A kid at heart, Lowe fully embraces the freedom and joy a child can experience by following their heart and opening their mind. Lowe recalled having a publisher challenge his ability to write a children’s book as an adult with no children of his own. “But I am one,” he replied simply. It’s Lowe’s own inner child that comes through in Howie’s imagination, as children rely on their imagination to transport them into the story. “Their treasure is their imagination,” says Lowe. Lowe also subtly introduces the concept of race into the story, using illustrations to show that Howie’s family is biracial. He wanted to introduce Howie as a modern child, living in the city, where acceptance, inclusion and harmony are part of the social landscape. An imaginative boy from New York City, with an ethnically diverse background, Howie Kaplinsky dreams of being a cowboy, vividly fantasizing that NYC locations and situations are scenes and situations in the Wild West. With his “Cowboy Vision,” Howie transforms dogs into coyotes, telephone poles into sequoias, a woman in a fur coat into a grizzly bear, the concrete canyons of New York into the Grand Canyon, and Thanksgiving parade floats into an enormous, bizarre stampede. 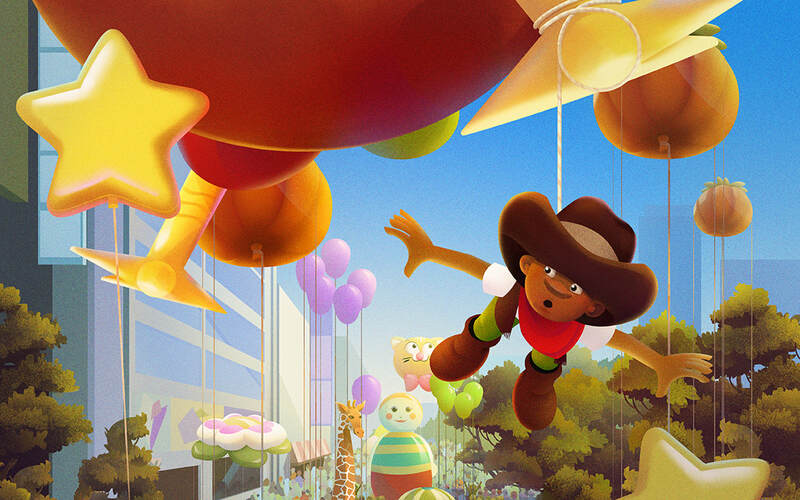 Despite being an “underdog,” who is constantly told he can never be a “real cowboy,” Howie’s imagination and “Cowboy Vision” give him “Cowboy Powers” that help him overcome the problems and challenges he faces — and allow him to make his dreams come true as he and his friends pursue adventures and life in New York City. COWBOY HOWIE. THE ADVENTURE OF THE CENTRAL PARK COYOTE AND THE THANKSGIVING DAY PARADE Click on this site's last page "NEW! COWBOY HOWIE MUSIC AND PIX" to see picture, read the story and hear the songs from the animated movie, now in production, THE AWESOME, AMAZING, OCCASIONALLY ASTONISHING ADVENTURES OF COWBOY HOWIE.